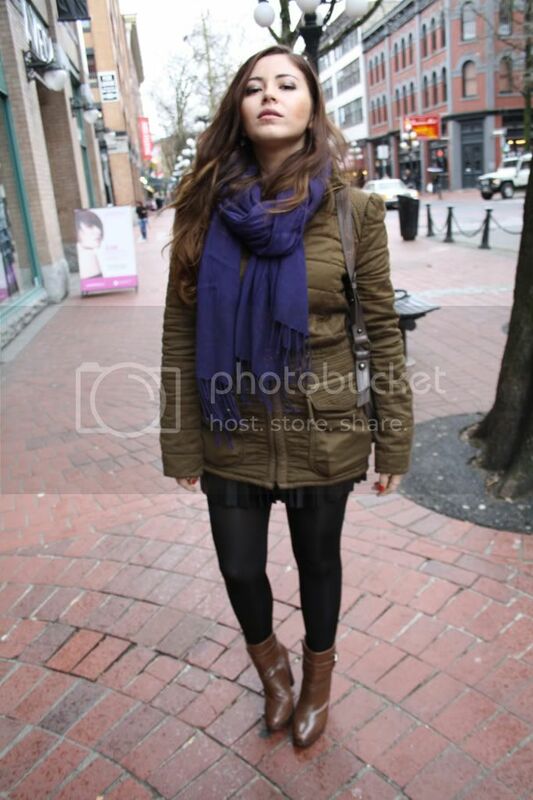 Taking a stroll on Gastown. I feel like I've over used this jacket and these boots on my blog lately, but the main reasons are they are so comfortable, and these boots can last through rain. Wearing my accordion skirt from H&M which is only partially visible. I will be wearing it again, hopefully in nicer weather conditions. Nice, comfy & casual outfit! :) Nice blue scarf.